Designed for handling in wet conditions, the HexArmor Chrome Series Hi-Vis Cut-Resistant Wet Grip Gloves 4027 utilise an extra grippy TP-X palm that ensures safe and secure general handling. 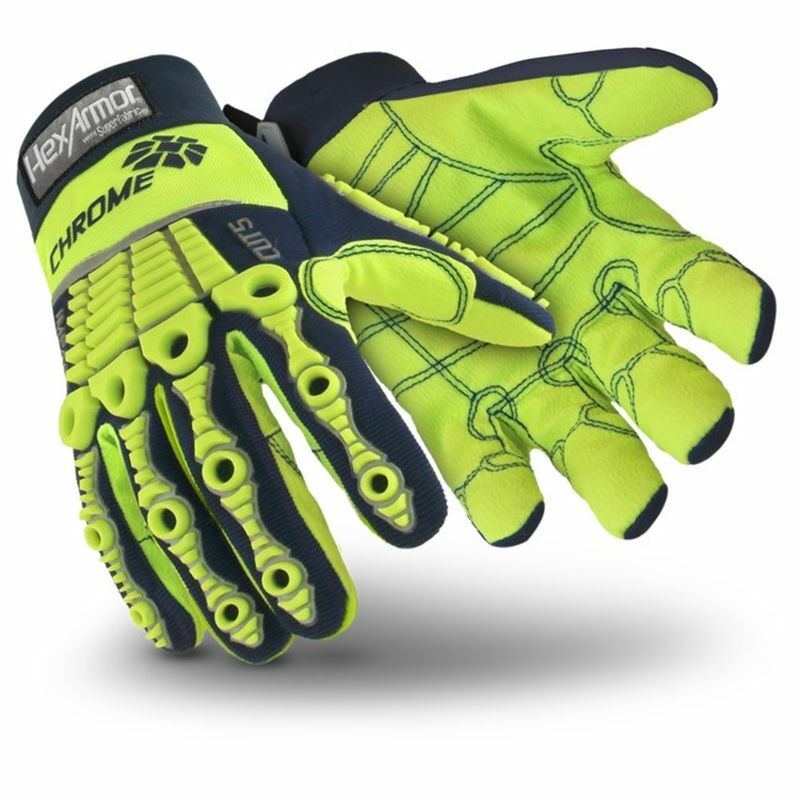 This is supported by a SuperFabric liner that offers industry leading cut resistance, while the hi-vis design makes the gloves suitable for a wide range of working conditions and protecting against many hazards. High risk environments demand PPE that you can trust, which is why HexArmor use industry leading technology to offer the very best in cut-resistance, grip and impact protection. With the HexArmor Chrome Series 4027 you are protected by SuperFabric that offers level 5 cut resistance. A TP-X palm and back offers reinforced impact protection, ensuring safety in a wide range of industries. This enhanced palm construction is what you need when undertaking tasks with glass, metals and in other high risk industries. 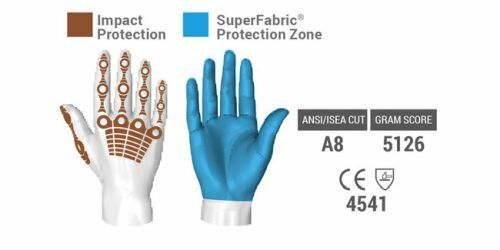 Despite the impressive levels of protection, the 4027 Gloves don't lose out on dexterity, meaning that you have more control and your productivity is increased. SuperFabric is an industry changing material comprised of cotton and plastic. The plastic ensures level 5 cut resistance, helping to protect against cuts from glass, metals and other sharp materials which is ideal for a wide range of industries. As they are blended with cotton, the gloves ensure exceptional dexterity, meaning that you can handle materials safely without your grip compromised. 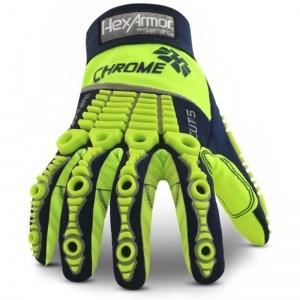 HexArmor have ensured that you are protected from all threats with a hi-vis design that ensures visibility in the dark. While this lets you be seen in the dark, it is also easier to spot the gloves should you lose them. These bright gloves allow you to work through the night, while protecting you from abrasion, cuts and tears.